Thank you for your interest in buying from us at wholesale price. 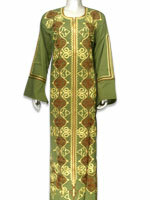 sell Muslim women jilbab, galabeya, caftan, abaya, home Islamic clothing, child jilbab, caftan. 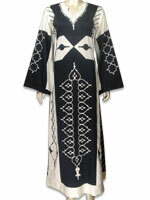 We have biggest collection of Jilbabs, caftans and galabeya and oriental clothing abaya selected for you. Al Jilbab offer 25% as a basic start up wholesale discounts. The minimum accepted wholesale order should not be less than $199.00 (excluding shipping). We accept the following form of payments :credit card or electronic checks through 2checkout(Ohio,USA) our authorized retailer and Paypal or wire transfer to our bank account. When finished your registration please contact us to activate your wholesale account.